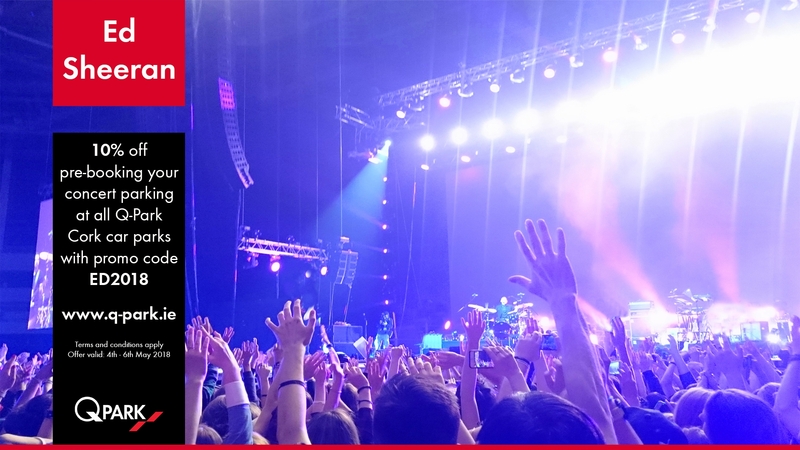 The Ed Sheeran concerts promise to be the most exciting entertainment events ever to be held in Cork and will be a first for the new Páirc Uí Chaoimh stadium. Aiken Promotions are the Event Managers and Controllers for all three concerts. Below is a synopsis of the full traffic management plan which outlines the main points. 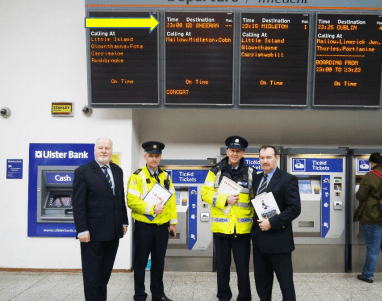 This was finalised yesterday by An Garda Síochána in conjunction with the Event Controllers and the other relevant agencies. Páirc Uí Chaoimh, along with all other agencies will be promoting the contents of the traffic management plan as much as possible via website, social media and traditional media channels in the lead up to the concerts in order to provide attendees with as much information as possible in advance. We in Páirc Uí Chaoimh are very cognisant of the fact that the concerts will cause some disturbance to those doing business and living close to the stadium but we can assure you that we, in conjunction with Aiken Promotions and the other agencies will be doing our utmost to minimise any disruption. Concert parking is not available on site. Gardaí recommend that people walk the 15 minutes to the ground from the City Centre where possible. Patrons are encouraged to use Public Transport where possible or alternatively give yourself adequate time to arrive to the ground. An Garda Síochána will operate a cordon for large events so early access is best. Bus Eireann will operate a shuttle service FROM LAPPS QUAY to the venue. Fri / Sat / Sun. Shuttle bus will commence from Lapps Quay from 15:00 hrs to 20:00 hrs on a 5 minute frequency. The 202 Bus to Mahon will be operating throughout each day of the concert. Additional services will be provided post-concert [each night Fri/Sat/Sun] to bring patrons back to the City Centre. This can be accessed on Blackrock Road close to the Venue Bar. Patrons can pre-purchase train tickets on-line from all locations to Kent Stn Cork City (Including from Cobh-Middleton-Mallow stns) through www.irishrail.ie. Tickets can then be downloaded from ANY Irish Rail ticket vending machine located at every stn except Fota stn. Bus Eireann will be operating shuttle buses FROM the Train stn to the venue @ Pairc Ui Chaoimh. Distance from Kent Station to venue is 2.5 kms. Taxis are to drop off at a designated area on the VICTORIA ROAD just before Marina Walk unless they are carrying a disabled passenger(s). 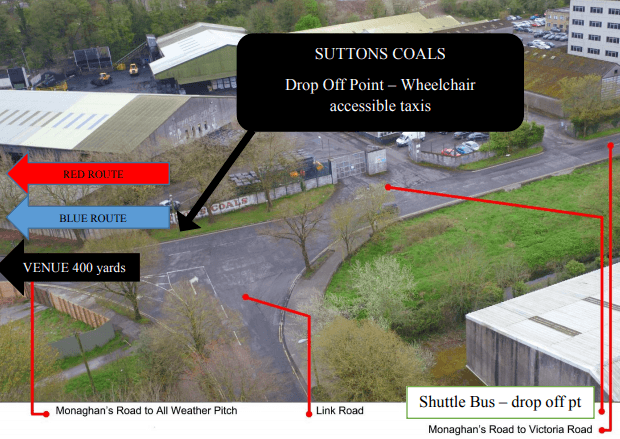 A Taxi carrying a disabled passenger(s) may be allowed down Centre Park Rd and permitted to drop the passenger(s) on Monaghan Rd, outside Suttons Coal. Taxis may not be allowed down Centre Park Road when the volume of pedestrians is too large. Taxi’s may also drop passengers at junction of BORRENAMANNA RD and Churchyard Lane (Temple Hill). Taxis will be permitted to pick up Fares on ALBERT ROAD. 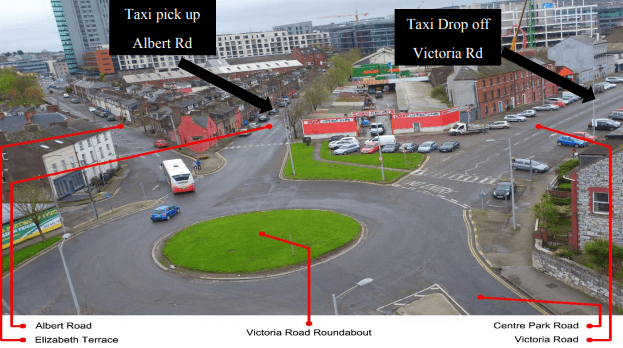 Taxi’s are not to stop on the Victoria Road Roundabout. 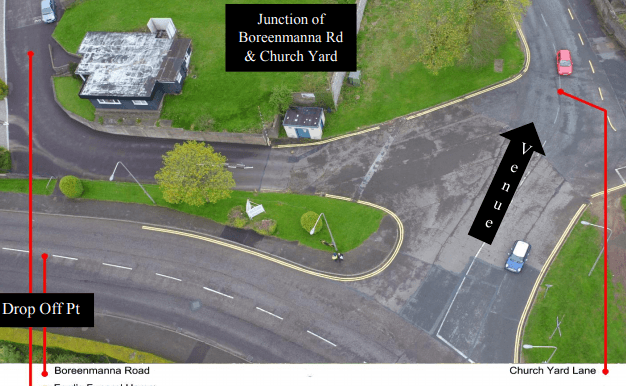 Taxis will be permitted to pick up Fares ON BORRENAMANNA RD. Q-Park operate a number of Car Parks in Cork City. Special offers are available in all Q-park Cork car parks for customers who pre-book their parking online. You then have the choice to either walk (15 minutes) or take public transport to the stadium.1. Click on the link below, select a car park and click on “Pre-book your parking”. 2. Enter promotional code ‘ED2018’ to receive a 10% discount on your parking. Proceed to payment. 3. You will then receive confirmation of your parking. Please note that there are a limited number of ‘AIKEN ISSUED DISABLED CONCERT TICKETS’. The promoter has contacted these specific ticket holders with access and parking arrangements. Other persons with disabilities are advised to travel to / from concert by wheelchair accessible taxi. These taxis will be facilitated to drop off their fares at the junction of Monahan Road /Link Road near Suttons coals and at junction of Centre Park Rd / Link Rd (yellow route). Early bookings of wheelchair accessible taxis are advised. Persons NOT issued with DISABLED CONCERT TICKETS are advised to contact the promoter if they have any queries. Please note the closer you get to the stadium will result in significant delays leaving after the concerts. Red & Blue route ticket holders to use junction of Monaghan Rd / Link Rd to venue. Yellow route ticket holders to use junction of Centre Park Rd / Link Rd to venue. We would ask that patrons respect our neighbours, particularly those living in the Ballintemple, Blackrock and Ballinlough area and please park responsibly. We would also ask that you heed the advice of stewards and Gardaí who will be operating at various estates and roads close to the stadium.